Ready, set, bow! It's the new Twinkle Toes Shuffle Brights Sneaker from Skechers! 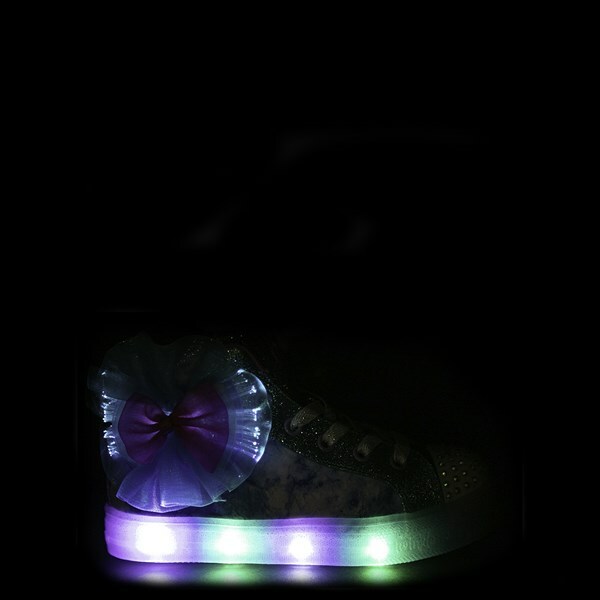 Cute and glitzy, the Twinkle Toes Shuffle Brights Sneaker features a sturdy textile upper with glittery overlays, large light-up bow detail, and rhinestone embellished toecap that lights up with every step.